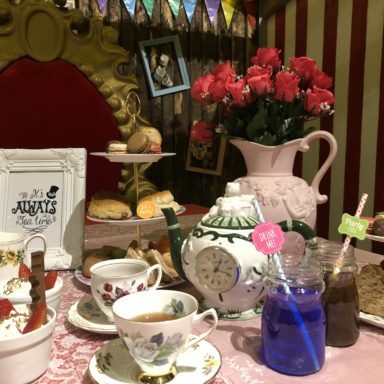 The Jungle is now offering a quirky alternative and delightfully satisfying Hen Party experience. 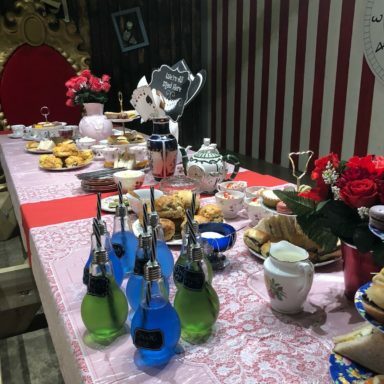 Plunge down the rabbit hole and immerse yourself in a fantastical world of make believe and enjoy an Alice in Wonderland Mad Hatter’s Themed Afternoon Tea experience. 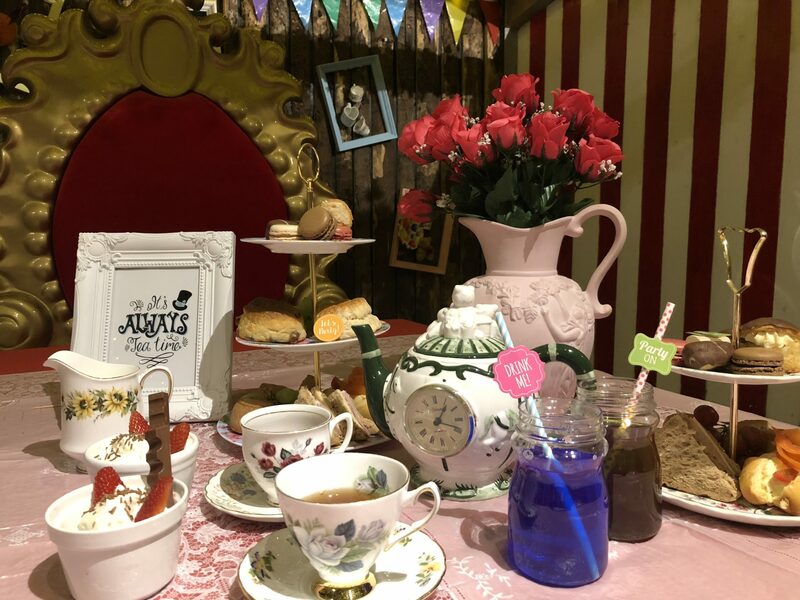 The journey begins as the group climb onto the Jungle Express and are transported up through the enchanting woodland forest to the Mad Hatter’s Tea Room where they will enjoy some tasty treats, delicate delights and refreshing drinks as part of the Afternoon Tea experience. 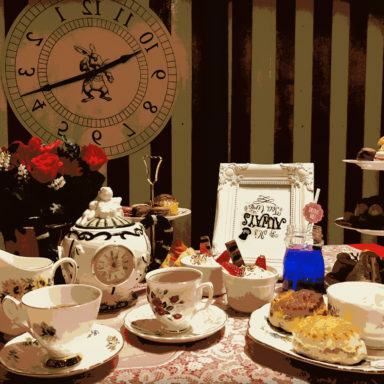 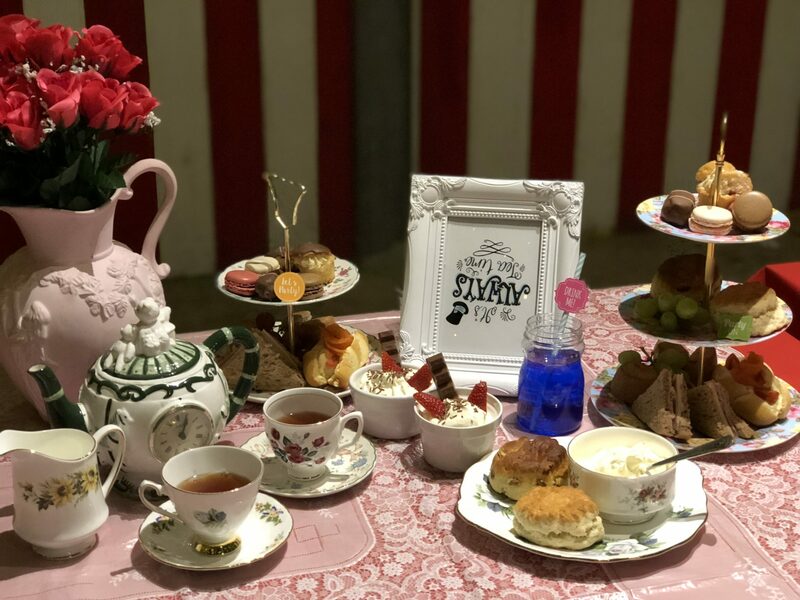 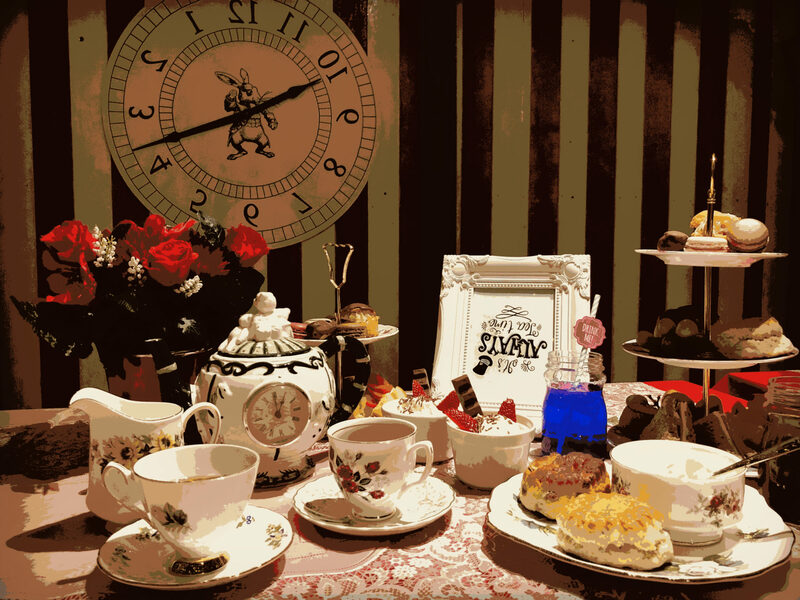 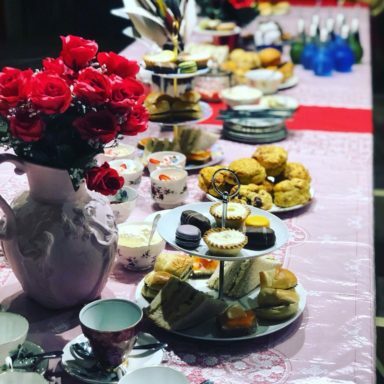 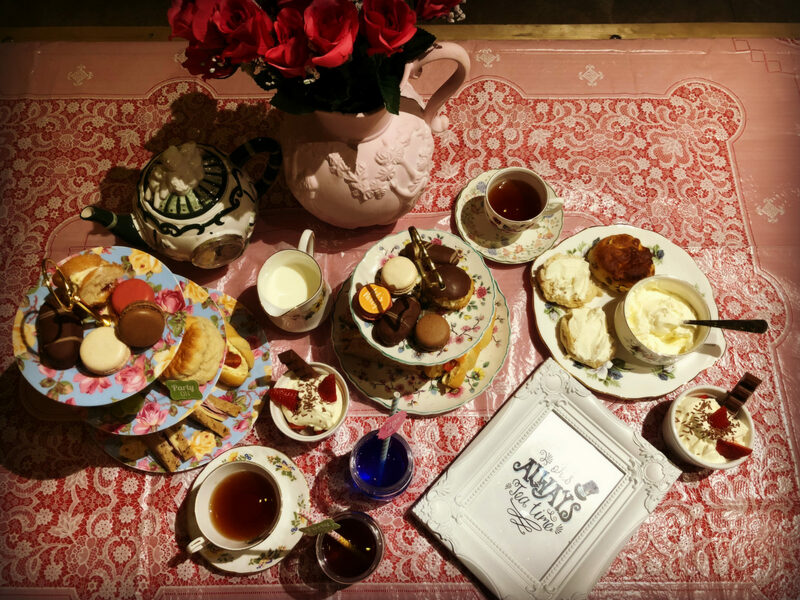 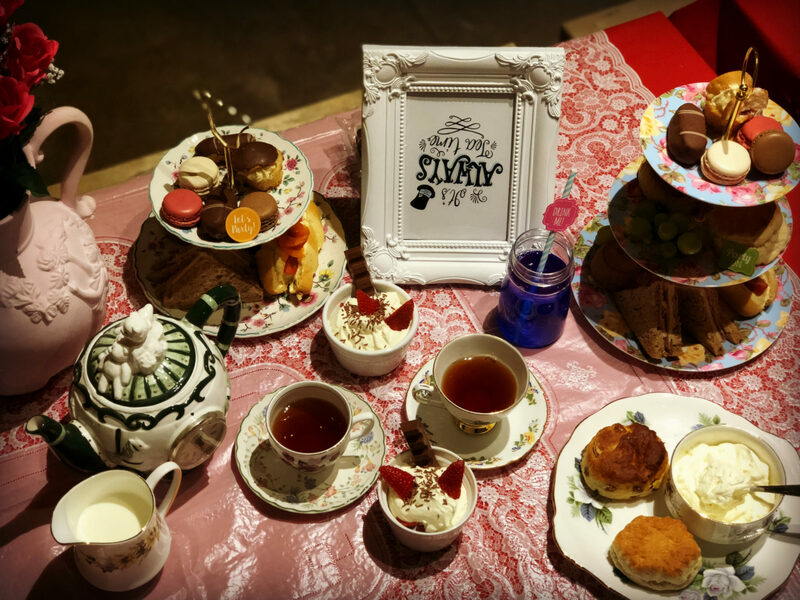 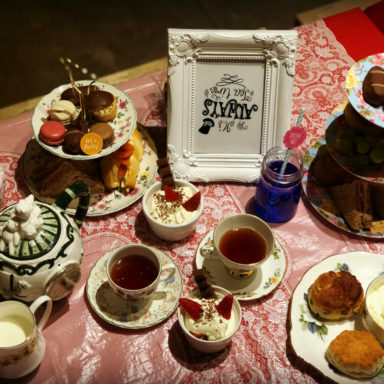 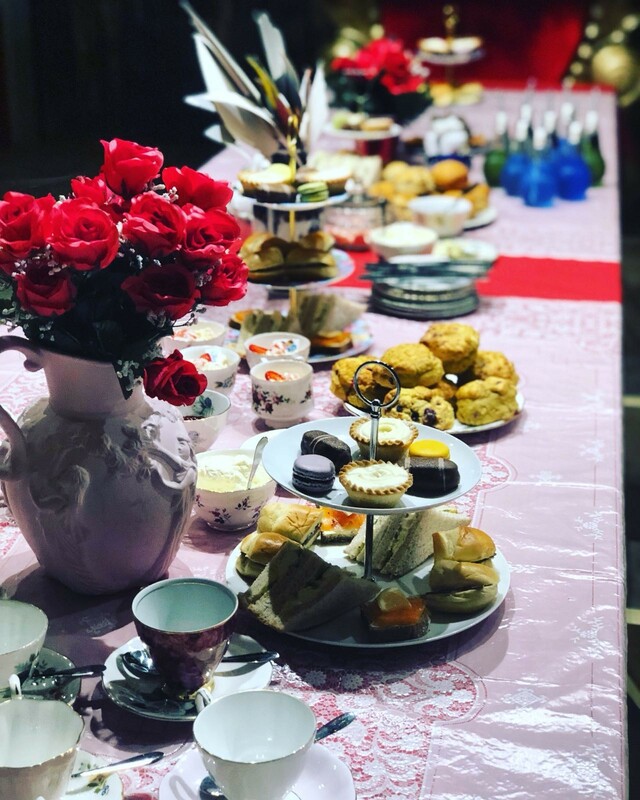 The grand selection of sandwiches and sweet bites are served in true Mad Hatter’s Tea Party fashion, complete with odd and unusual crockery, fantastical decorations and unusual surroundings all vying for your attention. 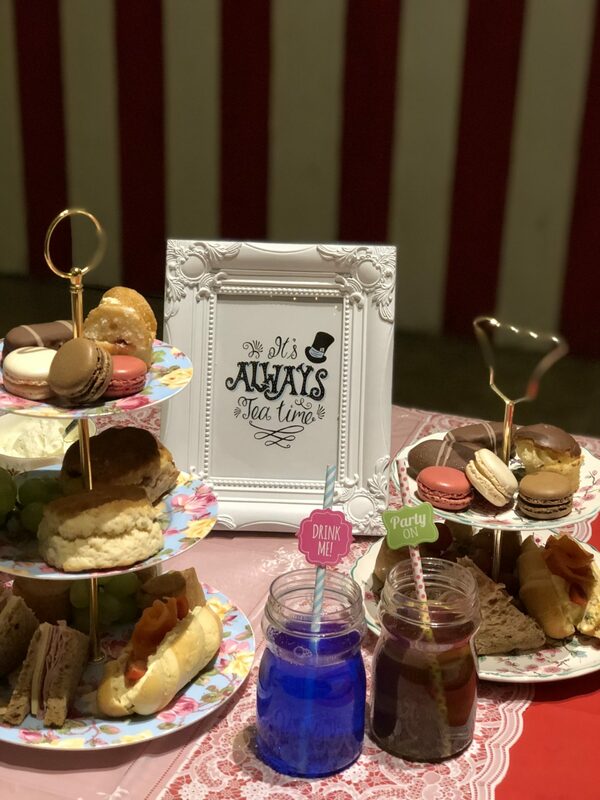 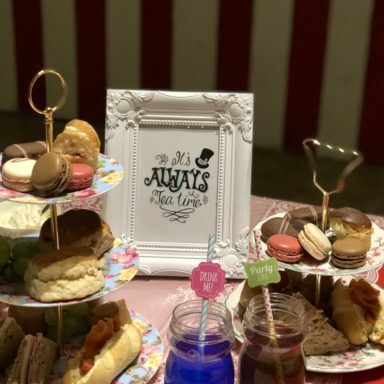 After feasting on the extraordinarily extravagant Afternoon Tea package, you are free to explore the Alice In Wonderland themed party room, which is loaded with fun games, toys and wacky props. 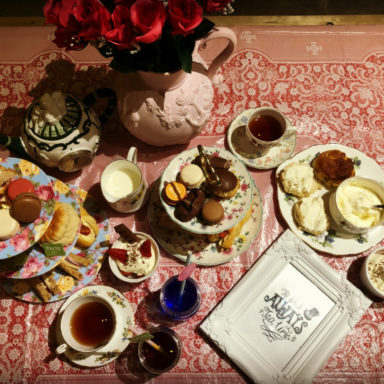 Please note: This activity is not available between September and February. 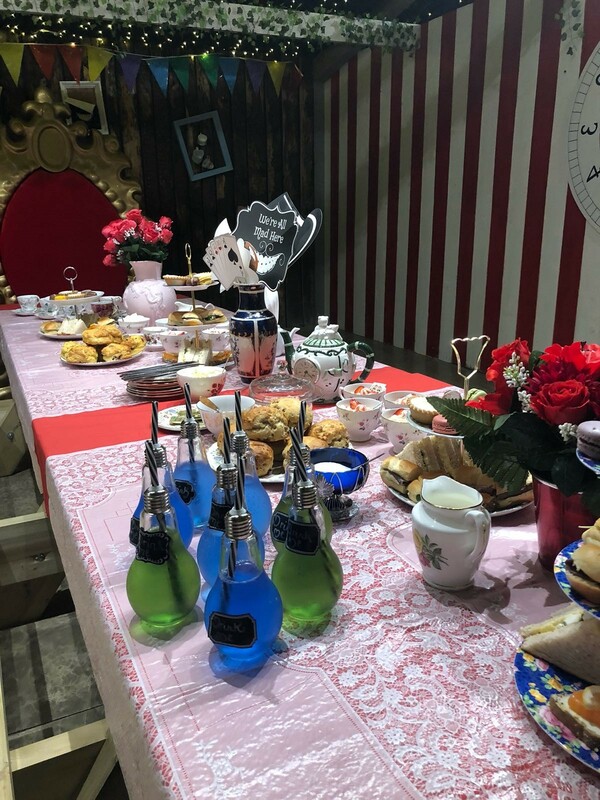 Complimentary Mad Hatter Party Punch (non alcoholic)!! 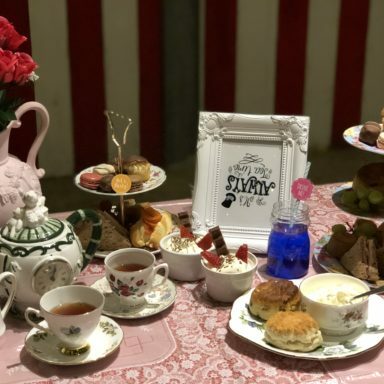 Scone with clotted cream and strawberry jam. 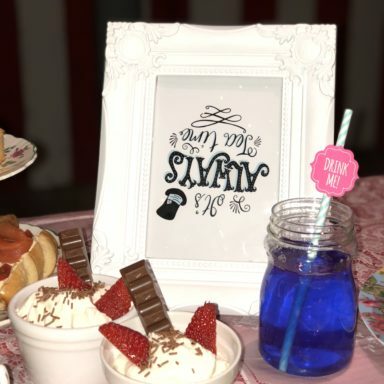 Please talk to us with your specific requirements. 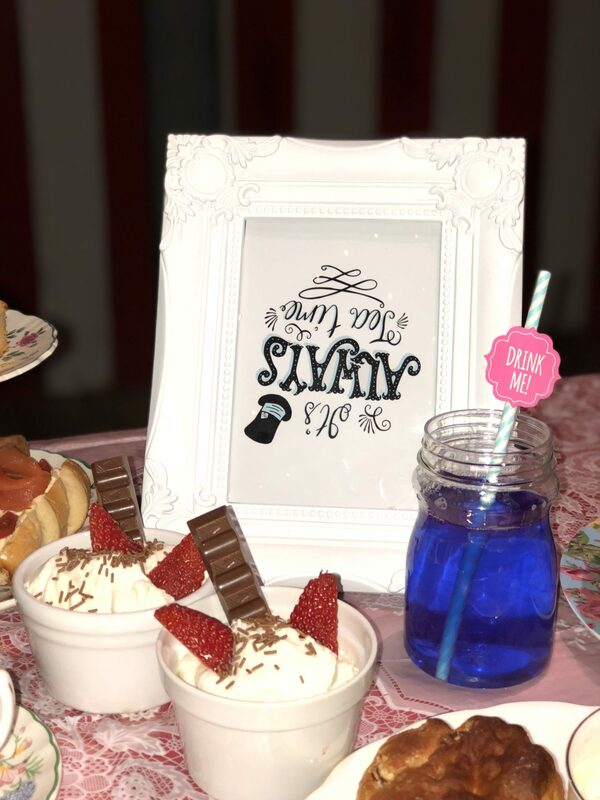 Note – you are more than welcome to bring along your own alcohol to enjoy with your Tea Party.